Subaru’s EyeSight safety tech is worth the money and it’s widely available on the 2018 Outback. When is a crossover not a crossover? When it's called the 2018 Subaru Outback, that's when. 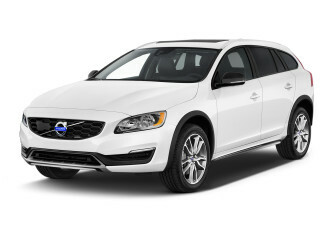 It's a tall-riding wagon with off road chops, but it skips the boxy look in favor of a rounded shape. It's still comfortable, capacious and capable. This year, the Outback has revised styling outside, new wheel designs, an updated infotainment system with standard Apple CarPlay and Android Auto, and myriad tweaks designed to reduce wind, road, and engine roar. It all adds up to a slight improvement of an already impressive vehicle. Four Outback trims are available—base, Premium, Limited, and Touring. A 2.5-liter inline-4 is standard, while a smoother, more powerful, and thirstier 3.6-liter flat-6 is optional on Limited and Touring trims. All Outbacks come standard with a continuously variable automatic transmission, all-wheel drive, and an impressive 8.7 inches of ground clearance. They’re not serious off-roaders, but these tall wagons can scrabble up more challenging obstacles than anything short of a Jeep Wrangler or a Toyota 4Runner. Despite that capability, the Outback’s road manners are more akin to a luxury sedan. 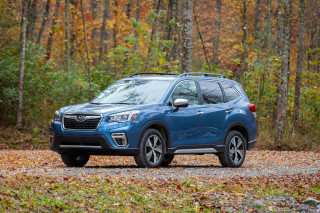 The base 4-cylinder that powers the vast majority of Outbacks can feel a little gruff, but it’s adequately powerful and returns 32 mpg on the highway. The optional 6-cylinder delivers better acceleration, especially with a full load of passengers and cargo, but it doesn’t transform the Outback into a rocket and its fuel-economy hit may be hard to justify for some shoppers. All versions boast crisp handling and a composed ride even when smooth pavement turns into a bumpy trail. Base Outbacks are less basic this year in terms of standard equipment with the addition of Apple CarPlay and Android Auto, but the more popular Outback Premium comes with a power driver’s seat, an updated infotainment system with an 8.0-inch touchscreen, dual-zone automatic climate control, and heated front seats. 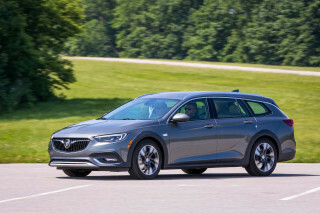 The Limited piles on leather upholstery, blind-spot monitors, and Harman Kardon audio, while new range-topping Touring includes LED headlights, a heated steering wheel, and automatic emergency braking. 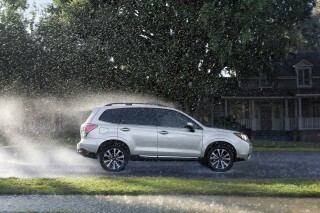 Every Outback includes eight airbags and all but the base trim level are available with the automaker’s EyeSight suite of safety equipment—automatic emergency braking, adaptive cruise control, active lane control, and lane departure warnings. With EyeSight fitted, the Outback earns a commendable Top Safety Pick+ award from the IIHS. The 2018 Subaru Outback’s handsome looks have been updated this year, but you’ll have to squint to see the differences. Strip away the unpainted black trim, bulky roof rack, and suspension lift, and the Outback is a station wagon. It’s based on the Subaru Legacy sedan, although the tall wagon outsells its conservative four-door sibling about 4-to-1. This year, the 2018 Outback has revised bumpers and a redesign grille, but you’ll have to squint to tell it apart last year’s model. Think of the Outback range like you would outdoorsy clothing. The base model, with its untinted windows, gets the job done with a Columbia-grade feel. Premium and Limited trims have tinted glass, fog lights, and some fancier bits inside, justifying a North Face price tag. At the top of the line with its own wheels, a slimmer roof rack, and saddle brown leather, sits the Patagonia-esque Outback Touring. The hefty roof rack fitted to base, Premium, and Limited trims is highly functional. Its crossbars stow away in the side rails when not in use to reduce wind noise and improve aerodynamics. While the slim-line rack on Tourings looks cleaner, it requires paying extra for cross bars if you plan to toss anything up there. Inside, the Outback’s dashboard is functional and clean, with few wasted lines. Base trims have a 6.5-inch infotainment system, cloth upholstery, and silver-painted interior trim. Premiums add an 8.0-inch screen, while Limited and Touring trims feature reasonably convincing fake wood and real leather. Exclusive to the Outback Touring is saddle brown leather upholstery. This year, a gray interior in fabric or leather joins the lineup as a nice middle ground between tan and black on base, Premium, and Limited trims. The 2018 Subaru Outback rides well and is quieter than ever, even if its engines are lackluster. Additional sound deadening imparts a more refined feel to the 2018 Subaru Outback. We rate the lineup at two points above average—one for its comfortable, composed ride and another for its legitimate off-road chops. The vast majority of Outbacks use a 2.5-liter inline-4 rated at 175 horsepower and 174 pound-feet of torque. This flat-4 engine is mounted low to improve the tall-riding vehicle’s center of gravity and it shuttles power to all four wheels via a continuously variable transmission (CVT). The base 4-cylinder provides adequate acceleration and makes its presence known a little less this year thanks to some subtle refinement tweaks. Around town, the Outback’s base engine is sprightly thanks to the good behavior of its CVT and a throttle that’s just the right side of too sharp. There’s not much passing power in reserve, especially up grades and at altitude, but the CVT does a good job of keeping the engine in its power band without the elastic, rubber band feel of yore. The transmission simulates a traditional gearbox with six “steps” under hard acceleration. 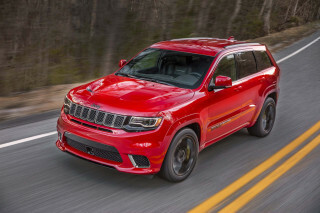 Optional on Limited and Touring trims is a 3.6-liter flat-6 rated at 256 hp and 247 lb-ft of torque. It’s smoother and torquier, providing the Outback with better thrust from any speed. Still, it lacks the mountain of thrust seen in Subaru’s own turbocharged engines—like that used in the Forester XT crossover. Regardless of engine, all Outbacks have crisp, car-like steering and a supple ride. Unlike taller crossovers and truck-based SUVs, the Outback is composed and almost entertaining when pushed through its paces on a winding road. Standard torque vectoring selectively applies an individual wheel’s brake to improve stability in hard cornering. This year, Subaru tweaked the Outback’s suspension to deliver an even more composed ride. Limiteds and Tourings with their 18-inch alloy wheels ride a little firmer than other trims with 17-inchers, but the difference is subtle. More noteworthy is what’s not there for 2018: road and wind noise, thanks to more sound deadening, redesigned exterior mirrors, and additional laminated glass. All Outbacks are rated to tow 2,700 pounds. Outbacks are trail-ready from the get-go thanks to 8.7 inches of running ground clearance and a standard off-road setting Subaru calls X-Mode. Tap the X-Mode button and numerous things happen behind the scenes: throttle response is modified, the traction control system’s parameters are reset, and hill-descent control is engaged. Ultimately, Outbacks are limited more by their long overhangs and street-oriented tires, but they’re far more off-road-ready than nearly any competitor. 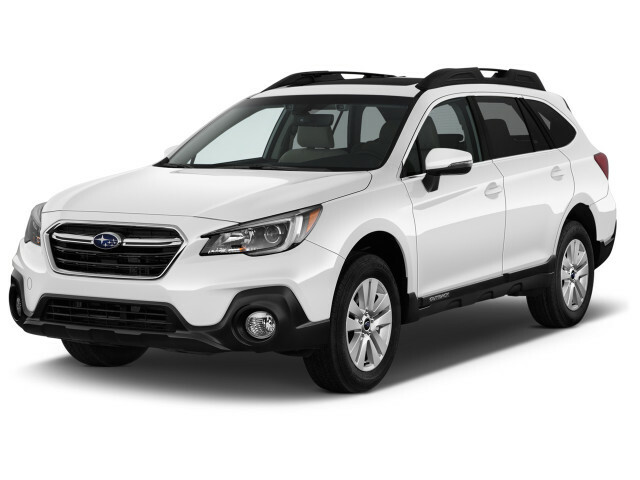 It may be shaped like a tall wagon, but the 2018 Subaru Outback bundles impressive utility with a classy interior. Imagine a hiking boot that doubles as a dress shoe: that’s the 2018 Subaru Outback. We’ve given this tall wagon points above average for its comfortable front seats that offer a stellar view out, roomy second row, good utility, and high-quality feel throughout. The Outback’s front seats offer good support with long seat bases and just-right bolstering. A power driver’s seat is standard on Premium and higher trims, while a power passenger’s seat joins in at the Limited and higher level. Rear seat riders get terrific space—38.1 inches of leg room and this year Subaru has added a single USB port in the back of the center console. All the way out back—see what we did there?—the Outback’s tailgate lifts to reveal up to 35.5 cubic feet of cargo capacity with the second row upright and more than 73 cubes with row two folded flat. What’s back there is arranged well and benefits from a much lower liftover height than rivals. More sound deadening and laminated side glass this year takes what was already a quiet interior and hushes things to library levels. Soft-touch materials are scattered about the Outback’s cabin. This year, most Outbacks gain French stitching on their dashboards, seats, and door panels, plus a redesigned steering wheel and some new trim finishes. The cloth upholstery on base and Premium trims feels durable without an overtly rugged look (in other words, there’s no plaid flannel option). The leather used on Limited and Touring trims is fine but nothing special; we’d like to see higher grade hides at the Touring’s price point. Still, the look and feel is upscale overall and fully in line with prices that range from the mid-$20,000s to a hair under $40,000 with every box ticked. The 2018 Subaru Outback is available with a wide array of high-tech safety features and has done well in crash-testing. The 2018 Subaru Outback includes a high level of standard safety equipment and it has scored well in crash tests. All Outbacks have eight airbags, rearview camera, stability control, and anti-lock brakes. Optional on Outback Premiums and Limiteds and standard on the range-topping Outback Touring is the brand’s EyeSight suite of safety tech. Bundled under the EyeSight umbrella are important features such as automatic emergency braking, automatic high-beam headlights, active lane control, and blind-spot monitors. Notably, Subaru packages its forward-facing cameras—used for automatic emergency braking and automatic high-beams—inside the Outback’s windshield. That means the expensive bits are less susceptible to damage or dirt from road debris and wintry weather than rivals with cameras integrated into bumpers and grilles. The IIHS says that the 2018 Outback rates as a Top Safety Pick+ when fitted with EyeSight. Models without EyeSight have headlights that rate just “Marginal,” the second-lowest score. The 2018 Subaru Outback offers a configuration for just about every budget. The 2018 Subaru Outback is well-equipped at every level, especially for the money. This year, a big infotainment system upgrade includes more high-tech features hidden behind attractive screens. The Outback lineup starts with the simply named 2.5i, a reference to its engine size. 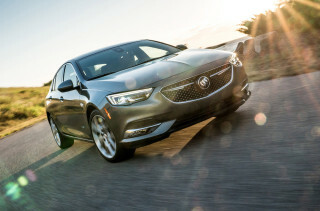 It includes the basics plus a few niceties—power windows and locks, a manual driver’s seat, Bluetooth, a rubber cargo mat, alloy wheels, and a 6.5-inch touchscreen infotainment system with Apple CarPlay and Android Auto compatibility. Choose the base Outback and your only decision left is color, there are no options available. Next up is the Outback 2.5i Premium, which adds heated front seats, a power driver’s seat, dual-zone automatic climate control, an 8.0-inch touchscreen infotainment system with several apps (including both a bird watching app—yes, really—and Magellan navigation). Three option packages are available—one that bundles a power moonroof with a power liftgate, another that includes the EyeSight suite of safety tech and the power liftgate, and a third that includes all of those features plus built-in navigation. Our recommendation? A 2.5i Premium with EyeSight costs a palatable $31,000. 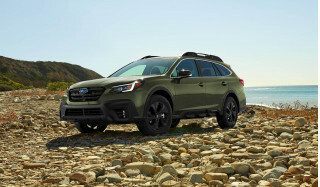 The Outback 2.5i and 3.6R Limiteds—distinguished by their 2.5-liter flat-4 and 3.6-liter flat-6 engines—add leather upholstery, Harman Kardon audio, 18-inch alloy wheels, a four-way power passenger’s seat, blind-spot monitors, heated rear seats, keyless ignition, power liftgate, and power moonroof. Limiteds can be optioned up with a single package that adds EyeSight and navigation. Topping the line are the Outback 2.5i and 3.6R Tourings, which build on a fully loaded Limited with special brown leather upholstery, a low-profile roof rack, a heated steering wheel, and a few other goodies. All in, the priciest Outback 3.6R Touring runs just under $40,000, which helps justify the fact that it’s missing some of what luxury buyers may want—cooled seats, a higher-zoot audio system, automatic wipers, and a height-adjustable driver’s seat. 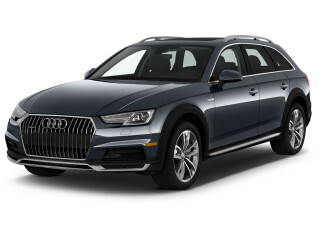 Rivals like the Volvo V60 Cross Country and Audi Allroad offer those features, but their base prices are higher than even a fully loaded Outback. The most popular 2018 Subaru Outback engine sips fuel; the more powerful option is a bit of a guzzler. With its base 4-cylinder engine, the 2018 Subaru Outback is surprisingly frugal. Its 25 mpg city, 32 highway, 28 combined rating is among the highest you’ll find from any crossover, let alone one with this much passenger and cargo space. The flat-6 included on Outback 3.6R trims is considerably less frugal: 20/27/22 mpg, according to the EPA. Lessening the blow slightly is that both engines are designed to run on regular unleaded rather than the pricier premium fuel some competitors require. 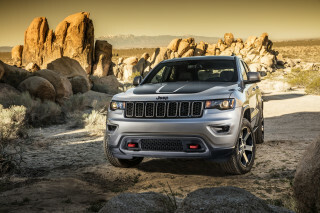 Great on the road or trail vehicle. Best decision we've made in the choice of a great car. I love my 2015 Outback Limited 3.6R with Eyesight so much that I just traded it for a 2018--now a great car is even better. And my 2015 held its value so well, it didn't cost me much to trade. The 3.6R is my... I love my 2015 Outback Limited 3.6R with Eyesight so much that I just traded it for a 2018--now a great car is even better. And my 2015 held its value so well, it didn't cost me much to trade. The 3.6R is my best balance of luxury, practicality, performance, versatility, reliability, and economy. Eyesight, combined with confident handling, make driving safer and less stressful. And the 6 cylinder transforms the car, making it more powerful and quiet. A major consumer magazine reports only a 2 mpg real-world drop for the 6 cylinder--from 24 for the 2.4i to 22 for the 3.6R. I get 22 mpg overall, and over 26 on the highway at 80mph. I'm happy with that. I ran Mobil 1 0W-30 in my 2015, and the oil level barely moved.